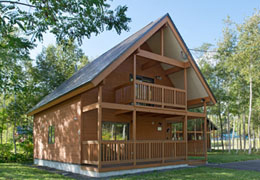 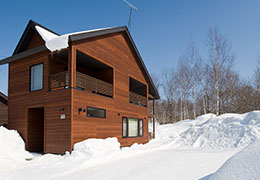 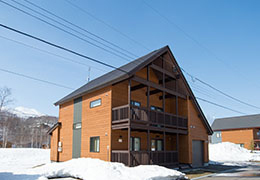 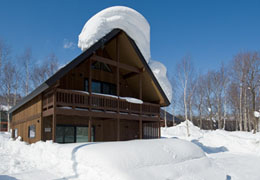 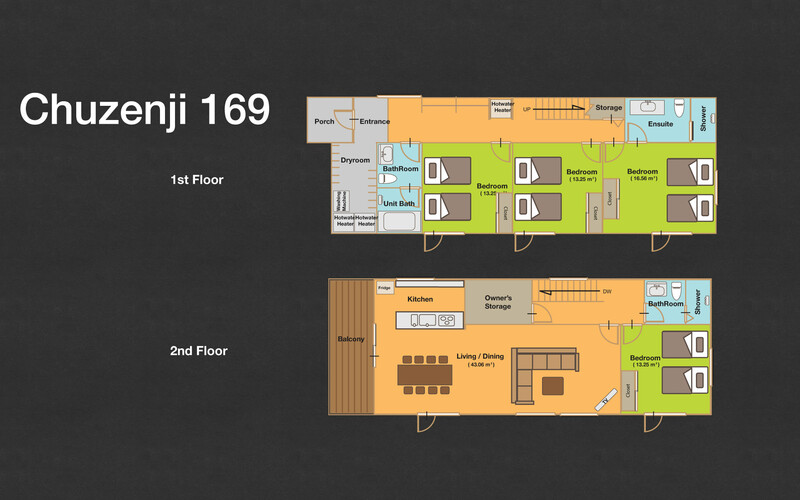 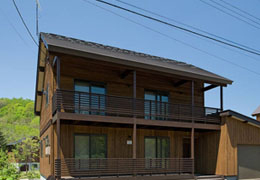 Chuzenji, named after Lake Chuzenji, is a uniquely designed 4 bedroom chalet, with three bedrooms on the ground floor and one on the top floor next to the living space. 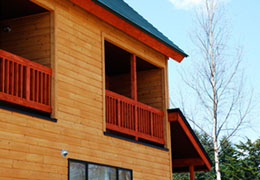 This allows for panoramic views of Mt. 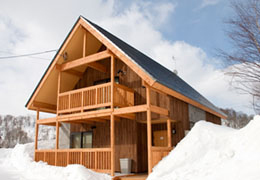 Yotei from the living and dining rooms as well as the covered balcony.